Hooks and Needles: Weekend ramblings. Hello there, thank you for dropping by and for the lovely comments last time on QT's birthday. He's doing well though a bit fussy with his food, as usual. The above photograph of yarn for crocheting, cooking, reading, cats and a tea set was me playing around with items represented in my blog. The teaset and scales are suitable in size and scale for a dolls house. The Knit & Natter Challenge for Jan/Feb is to crochet or knit a blanket. It doesn't have to be the crochet attic 24 cal, it could be anything you like eg lap blanket, for the bed, for pets or like myself a gift. My woodland blanket attic 24, is growing steadily albeit slowly, I'm up with more of the blue shades now. I will post a photo next time. 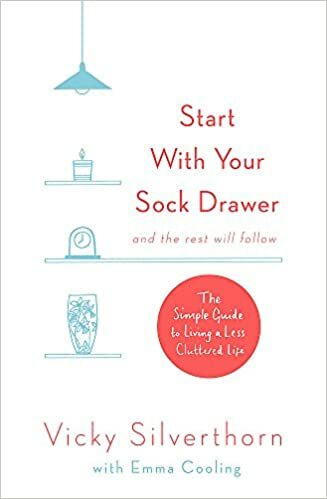 Start With Your Sock Drawer by Vicky Silverthorn (youtube) her book is so good, one of those that makes so much sense. Not at all bossy, preachy or extreme. It's in chapters but with lots of sections making it easy to read, pick up and put down. There are no instructions or challenges, instead you gently read about how she's helped clients tackle clutter making it easy for you to join in slowly. This was a birthday present last summer and I intend to continue reading through and applying her guidance throughout the year. Though she recommends starting with your sock drawer, you can start with any small area, about 20 mins max. The idea is to be consistent daily and not for long sessions never to be returned to again. I started with the bathroom cupboard, then moved back to the books. I'm determined to reduce them further, it's far better that others get to enjoy them rather than them sitting collecting dust. 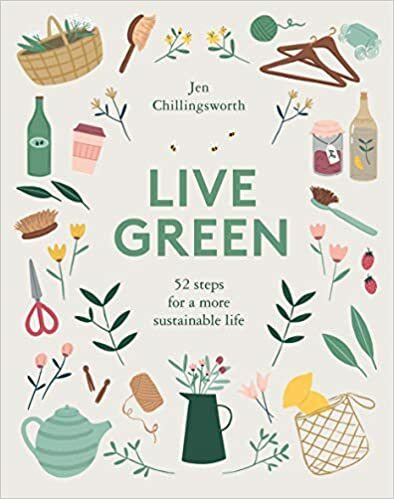 Live Green by Jen Chillingswith a library book, I will probably purchase this at some stage. It's a fantastic little book (6"x5" in size) with lots of advice about leading a more sustainable life. From making your own cleaners, to green home and garden and having a simple Christmas. 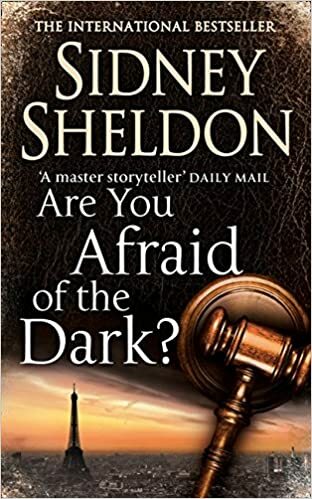 The book is laid out with 52 steps but these are not at all shouty - no numbered or underlined instructions, just bold headings over a double page. A very informative book with lots of ideas to simply live green. 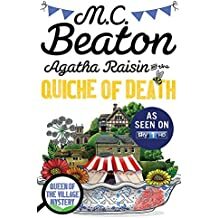 Two books to read for the book club - Are You Afraid of the Dark by Sidney Sheldon and Agatha Raisin and the Quiche of Death by MC Beaton. I've been sorting some books that teen 1 cleared from his room. He's had a little a lot of help with book decluttering from E his lovely girlfriend. He's spoilt already it seems! The library have agreed to take the 'perfect condition' ones, including my set of classic books. I was going to donate the whole lot to the charity shop but with the library, the whole community benefits - 'if' anybody wants to read them! (I didn't!) I mean I did want to read them when I purchased them over 25 years ago, but... Such crazy fortnightly purchasing in the distant days of no kids and more money. Oh well, lesson learnt, don't buy unnecessary stuff! Sat - Help clean teen's rooms (15 mins each). I've tweaked the original list to match my family requirements. The idea is to have weekends free of housework but this seems to work best for me and the teens. Anyway, we'll see how it goes. The idea is to only spend 30 mins a day cleaning plus 15 mins max doing basic level 1 jobs which are - clean something in a bathroom, 1 laundry load, make beds & hoover high traffic areas. Most weeks I miss at least 2 days of job's off, especially at the moment whilst sorting diet issues. Without feeling sorry for myself, some days I'm just floored and do nothing more than the very basics and read or crochet. Take care of you & yours, have a good week. I love the photo at the start of your post, trying to remember the name for that type of photo but can't think of it. So a girlfriend is how to get the teens to de-clutter? Interesting. LOL! Hope you have a wonderful week! There seems to be lots of decluttering happening at the moment. I seem to have been filling bin bags for the last couple of years and there's still more to go, I'm back to going through things which have already been done. We did the loft at the back end of last year, that was a task and a half, so many things just shoved up there out of the way, I feel much better now it's all sorted out. I hope you can get your dietary problems under control soon, it does not sound pleasant. Have fun making your blanket, I always find making something soothes soul and body and I hope it works for you, too. Housework is largely done over the weekend in my house (we both work full time). I don't mind, a Saturday morning blitz is usually enough, particularly if the kids help out. Thanks Christine, it's looking increasingly like I can't handle fibre - skins, seeds and high fibre (oats, seeds, grain & nuts) which are causing me problems. I've always eaten whole foods but never knew those very things were making me ill, tired and washed out. Because my diet is so restricted at the moment - through a dietician - it's much clearer to see. I can't pretend that mentally it's been easy, especially now that I'm realising the consequences of eating certain things I'd normally take for granted eg a tin of tomatoes (seeds, skins) took 2 full days to get over. It's the fruit and veg that will be the hardest, I really don't want to eat casseroles made with a carton of passata and tomato puree, quite frankly it's bland. Apart from courgettes there doesn't seem to be any green veg that I can eat. Next week I'm hoping the dietician can shed some more light. Having someone help with the decluttering would be a good idea otherwise I'm not motivated. Everything looks tidy, but the cupboards are full. I guess a self-help book would be the next best thing and doing a little at a time. exciting to see your "Fun photo of items" on the top. The organized mom blog is awesome, thank you for sharing it. I’m also going to see if my library has a copy of the living green book. I know I can do better with reducing waste. Hope you have a nice weekend. New Year - Hope it's a good one! HooksandNeedles. Simple theme. Powered by Blogger.